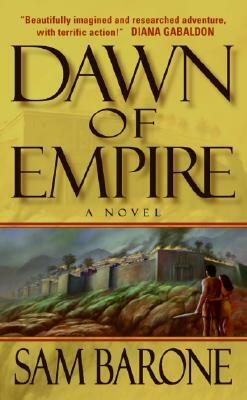 Five millennia ago, on the eastern bank of the river Tigris, the course of human history changed forever . . . The people of Orak cherish their peaceful village and the life they have made. Though not proficient with the bow or sword, they possess a weapon far stronger: the ability to coax food from the ground. This is why the barbarian leader Thutmose-sin hates and fears them. As his marauding clan of bloodthirsty warriors readies itself for the plunder and the kill, the fate of the village rests with the outcast barbarian Eskkar and the woman he loves, the wise and beautiful slave girl Trella--and on a bold, remarkable, never-before-tested plan of defense. For those who have known peace must turn their hands to war, to save from the savage invaders not only their families but their way of life.